Vegetarians and vegan diets are often found lacking in proteins. The lack of animal proteins in their diet often leads to several deficiencies. This is where soy beans come into the picture. Soy beans are considered to be a source of complete proteins. It’s no wonder then that soya forms such an integral part of a vegan or vegetarian diet. But soya beans are not just for the vegans! A meat eater too can reap the benefits of this amazing bean without compromising on taste. It has good quality protein. Soy beans also contains amino acids that plays as an essential part in the production of insulin in the body. Including a minimum of 4 servings of soya protein in your diet every day can help lower bad cholesterol, called LDL cholesterol, by 10%. Soya helps to balance out the bad cholesterol level without impacting the level of good cholesterol or HDL cholesterol. As mentioned earlier, Soy protein helps to lower the level of LDL cholesterol in the body, this in turn can lower the chances of heart disease drastically. If you want to keep your heart healthy, make sure that your diet consists of soy protein. Doing so will not only help reduce cholesterol over time, but will also add to healthy veins, and improve blood flow to the heart. 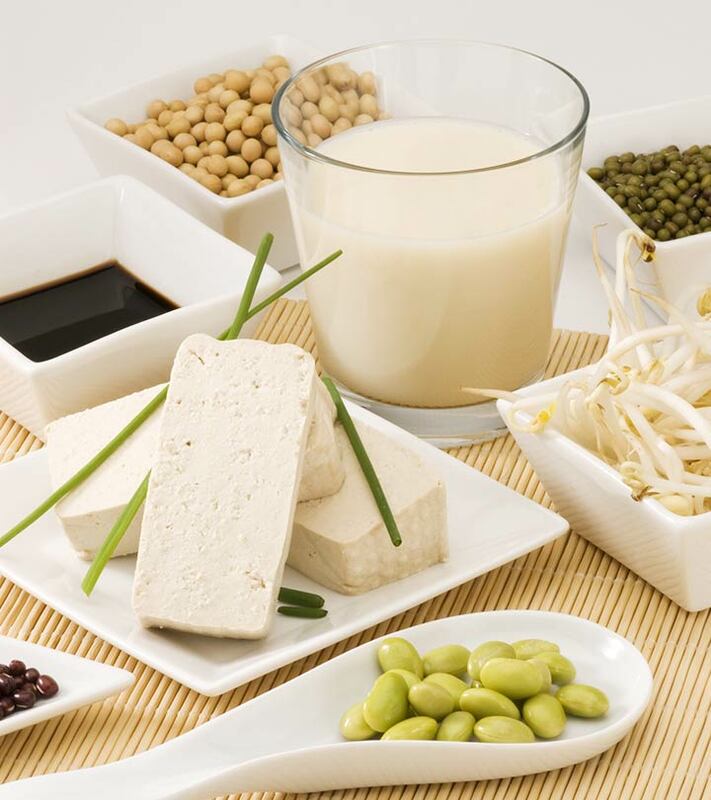 Soy proteins contain amino acids that can be found in tofu and soy milk. These amino acids can be used effectively by the body and converted into energy. Soy protein is also useful in preventing several other serious health conditions. It can prevent colon cancer cells, prostate cancer and in some cases, cure osteoporosis too. It is advised to use soy products while pregnant to benefit from its numerous health benefits. Fortified soy milk contains a good amount of vitamin D, unlike other dairy products. Vitamin D is essential for stronger bones of both mother and child. Pregnant women can get vitamin D from exposure to sunlight and also from consuming soy milk. So if you are not getting sufficient time out in the sun or are lactose intolerant, you can enjoy soy milk benefits. Soy protein is useful in controlling hyperglycemia and losing weight. Diabetes is a serious medical condition. Inclusion of soy beans in diet can not only control obesity but also help balance the sugar levels in the body. This is the perfect food choice for diabetic patients! Genistein- phytochemicals that are found in soy can lower the risk of breast and prostate cancer. Genistein can prevent cancer by halting tumor cells from growing. 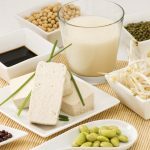 You can consume 1 cup soy milk or ½ cup tofu or even soybeans to be protected from the risk of cancer. Phytoestrogens acts as synthetic estrogen that protects women from severe bone loss and helps in maintaining a healthy heart. Soy protein also helps to maintain stronger bones and calcium balance in postmenopausal women. Osteoporosis is a disease caused due to age and hormonal problems. The phytoestrogen content in soy can increase the calcium absorption by the body and help in the prevention of bone mass loss. To get the best benefit, always buy soy milk which is fortified with some extra calcium and even vitamin D.
Many newborns are unable to digest breast milk and even regular formula. Soy milk can be a life save in these situations. Later, once the child is old enough to eat solids, other soy products can be added to her diet to give her health a boost. Soy oil contains omega 3 fatty acids. So if you don’t want to consume algae or fish based products, soy oil is your best bet to get sufficient amounts of omega 3 fatty acids into the body. Even men suffer from weak bones and can gain loads of benefit from consumption of soy. This is useful to maintain stronger bones and also to prevent mineral loss. Soya bean can also help lower arthritis in some cases.Thus, benefits of soya beans are amazing! Soya bean oil is a rich source of vitamin with small molecular structure that can penetrate the epidermis. Soy can actually nestle inside your cellular structure and help in stimulating the synthesis of collagen and elastin with other proteins. These properties are vital for cell growth and for reversing the formation abnormal cell. Soy based skin care products help to even out skin tone and can even reduce pigmentation that occur due to hormonal changes and sun exposure. Soy has a good amount of Vitamin E, fatty acids, and even lecithin that are great for the skin, even if applied topically. This also helps to heal and regenerate skin cells, thanks to its antioxidant properties. So, these were some amazing benefits of soya bean proteins. No matter your food preference—vegetarian or meat based—including soya beans in your diet makes a lot of sense. And they taste yummy too! Did you find this article helpful? Do share your feedback with us in the comments section below!